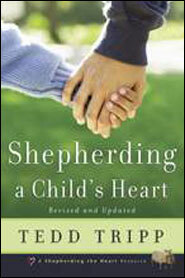 Tripp’s book offers exceptional wisdom for parents, with creative application of Biblical principles. John MacArthur says: “In looking for the right perspective and practical help on parenting, you won’t find a more excellent guide.” This guide to Christian parenting and Christian child-rearing is sure to become an invaluable resource as you seek to train up your children for the Lord. “A change in behavior that does not stem from a change in heart is not commendable; it is condemnable.” — So begins one of the most penetrating parenting books ever written. 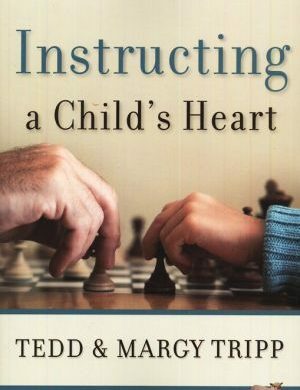 The author, Tedd Tripp, builds a solid, Biblical argument for getting to the heart of your child’s behavior with the ultimate goal of your child living to please God, not man. If your child outwardly obeys but inwardly seethes, he is living life like a Pharisee, behavior that was condemned by Jesus. 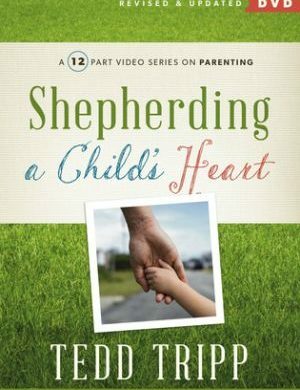 Tedd Tripp’s book Shepherding a Child’s Heart offers exceptional wisdom for parents, with creative application of Biblical principles. John MacArthur says: “In looking for the right perspective and practical help on parenting, you won’t find a more excellent guide.” This guide to Christian parenting and Christian child-rearing is sure to become a valuable resource as you train up your children for the Lord. “A change in behavior that does not stem from a change in heart is not commendable; it is condemnable.” — So begins one of the most penetrating parenting books ever written. 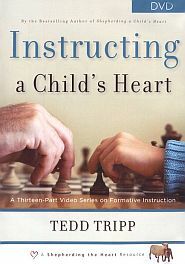 The author, Tedd Tripp, builds a solid, Biblical argument for getting to the heart of your child’s behavior. How? By making the ultimate goal, living to please God, not man. If your child outwardly obeys but inwardly seethes, he is living as a Pharisee, who were condemned by Jesus. Tripp also points out that if parent have low expectations for their children’s behavior, then they will never experience failure and the need for what only Jesus and the Holy Spirit can do for them. There is a lot to this meaty book, one that has profoundly altered the way we look at parenting. Application questions at the end of each chapter make Shepherding a Child’s Heart a good fit for your church group to use. It is never too late to seek God’s best for your family.